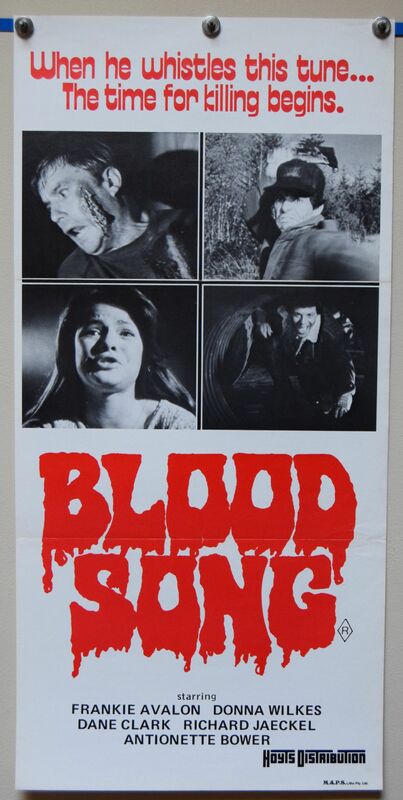 Blood Song (Allstate Film Company, 1982) Australian Daybill Poster Size 27" x 13"
"When he whistles this tune.. The time for killing begins". 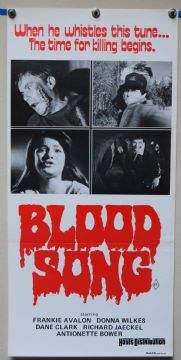 The 1982 horror thriller starring Frankie Avalon, Donna Wilkes and Dane Clark. The poster displays incredibly well. Fine.